If you have clients who ask you for recommendation on WordPress plugins, we’ve got you covered. Here we share the best new WordPress plugins that are essential for businesses. WordPress’ SEO app is now called Yoast. It remains one of the most popular plugins WordPress offers. This plugin can help businesses optimize their site for search engines without investing significant dollars. 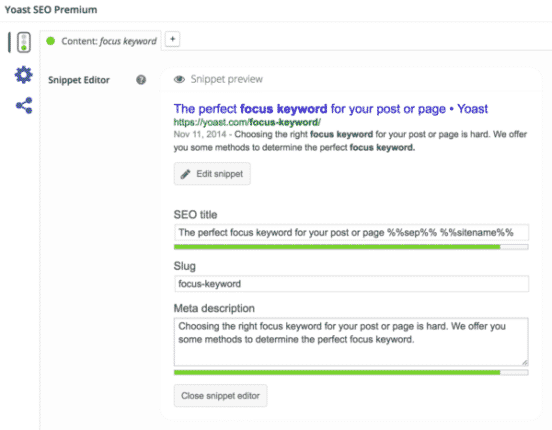 Yoast SEO adds meta tags and many other tweaks that WordPress suggests. Google Apps for Work saves businesses money and time. It is a suite of web applications by Google which is a hassle-free way to make spreadsheets, email, documents and other important forms. It also makes it easy to use your business domain name for emails. Conversion rates are the name of the game, and OptinMonster allows businesses to convert website visitors into email subscribers. This is a great plugin for businesses who need to grow their email list. Interacting with customers has never been more important, and there are many plugins that help you do that. WPForms is very easy for businesses to use. It is a drag and drop online form-builder, making it a snap to make contact forms, order forms, email and newsletter subscription forms, and payment forms. It’s very easy for beginners, so it is a great recommendation for businesses who want an easy way to communicate. Google Analytics’ MonsterInsights lets businesses connect directly to Google Analytics, letting businesses monitor their website visitors and learn more about who they are. Armed with these findings, a business can optimize the website according to the visitors, which will help conversion rates and eventually, earnings. MonsterInsights comes in both a pay and free version. Galleries continue to be extremely popular online. THey are easy to create in WordPress, but to take the gallery to the next level, you need Envira Gallery. This WordPress plugin lets you create albums, open images in lightbox popups, and locate your galleries anywhere on the website. SEO is measured by many different factors, and speed is one of the variable that is most important. The faster the website, the higher it will rank in Google and other search engines. This translates into more visitors and longer visits to your client’s website. With W3 Total Cache, you can serve compressed and cached files to site visitors. This helps your server by reducing its load, therefore making it much faster. If your clients aren’t using testimonials, they should change that right away. Testimonials are a tried and true marketing tactic demonstrating the quality of a business’s goods and services. People are intensely interested in what other people have to say about a product, particularly in the social media age. Testimonials Widgets make it easy to plug i testimonials to any website.